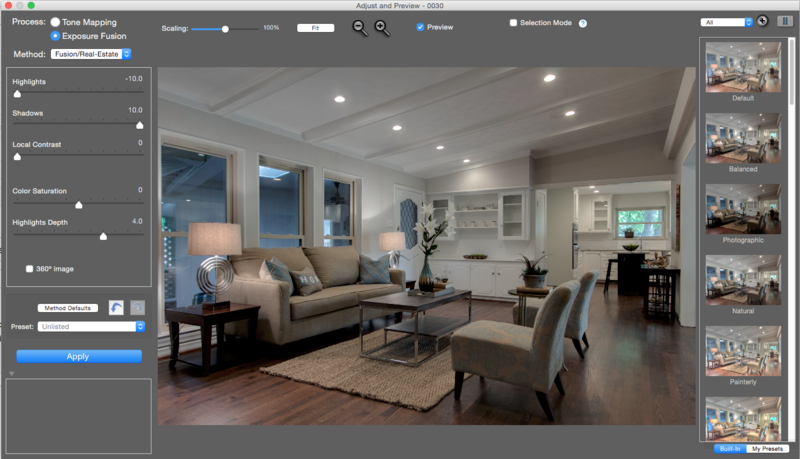 Previously I have shared how to edit/process natural-looking real estate interiors with the Enfuse plug-in for Lightroom. 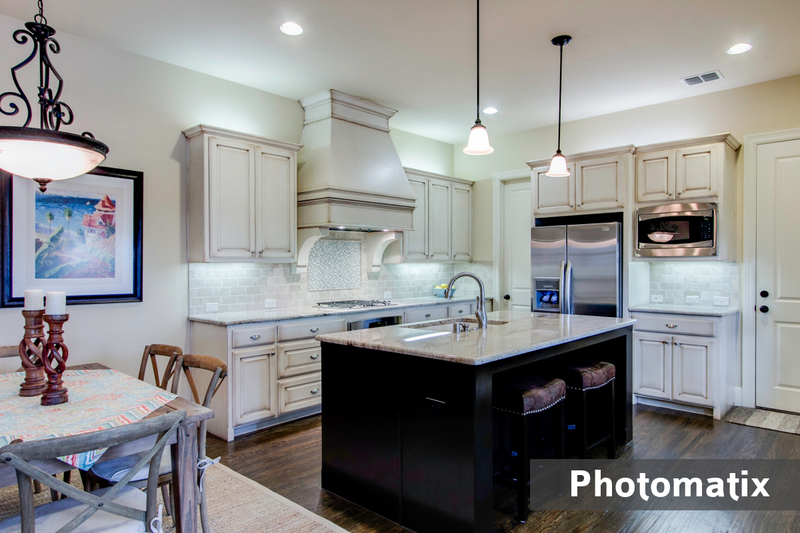 A lot of readers have asked for help with another method of processing real estate photos, using the software Photomatix. So I went and purchased Photomatix and came up with a workflow that I would like to share. Here we go! I’m going to get right down to business and share a video I put together of me editing a couple of bracketed photos. Give the following Photomatix tutorial video a watch and continue on to find out what settings I use, how I created the presets, etc. We use Lightroom to automatically make minor corrections to our images based off the camera/lens that we used to take the photos. In my case, I shoot my stills with a Canon 60D and a Canon 10-22mm lens. 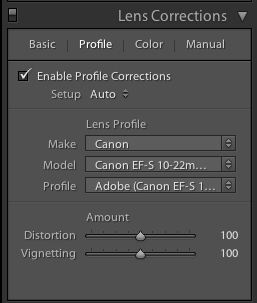 Lightroom has a profile already built for that camera/lens combo, so we just apply it.You can create your own Auto Lens Profile Develop Setting by opening a new image in Lightroom, clicking on the Develop module, then clicking on Lens Corrections -> Profile -> Enable Profile Corrections -> Auto. Lightroom should auto-detect your equipment. 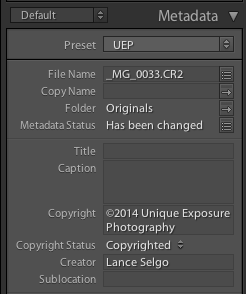 This is just a metadata preset that I have created that applies my copyright/business name/info to each image. 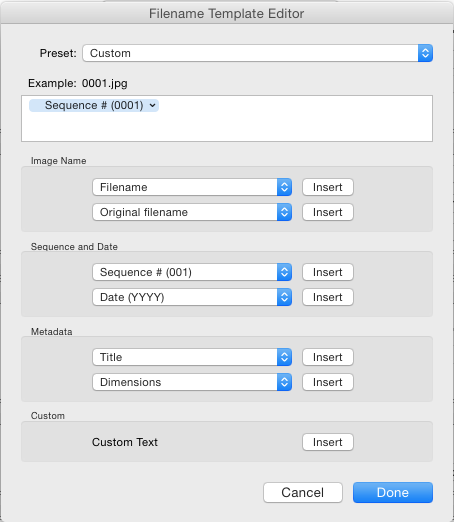 You can create metadata presets and save them from the Library module in the Metadata panel. I export full-size JPGs before batch processing through Photomatix. The main points to note are the export is full-size, no cropping, at 100% quality with type JPEG. I also adjust the naming and specify a subfolder to keep things organized but those adjustments can be modified to suit your needs. Feel free to play with the various methods and settings! By no means is the above combination the perfect way to go. You’ll have to play with it to see what gives you the most highlight detail, while also a rather balance image. I noticed it tends to get really contrasty quite quick so keep an eye on that. I think the Fusion/Natural method has potential, but it seems to lose quite a bit of the highlights which in our case we want – for window views. Remember we aren’t going to get the final result straight out of Photomatix. The photo will probably be too dark for our taste. Don’t worry, we’ll use Lightroom to make final adjustments. Choose a custom location for where the blended images will be saved. I create a new folder called Edited to store them in. All of the other settings should be safe as their default values. Feel free to compare my screenshots with yours in case any of the defaults have changed. You’ll notice Photomatix is screaming fast! It literally only takes about 6-7 seconds on my machine to process a bracketed set. A set of 30 photos takes roughly 4 minutes or less to process! 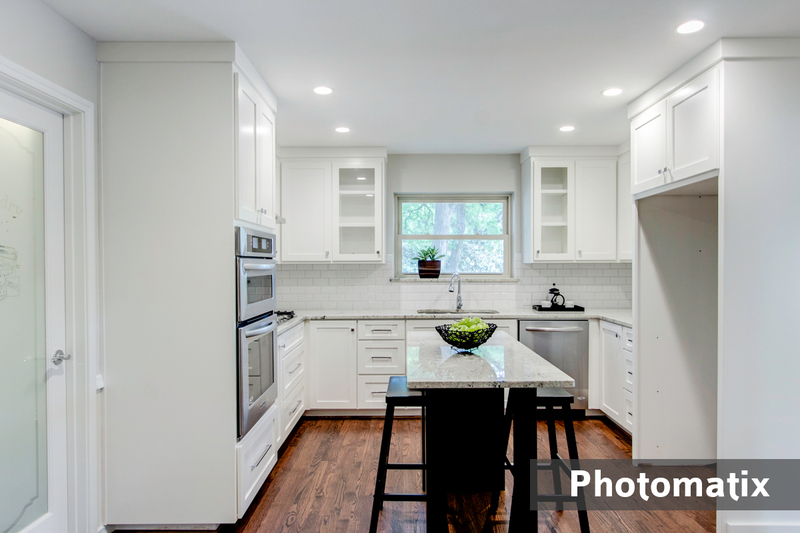 As noted earlier, our “out-of-the-box” photos from Photomatix probably won’t be representative of the quality we want to deliver to our clients. I tend to like lighter/brighter photos. We need to import back into Lightroom to tweak our photos before exporting for the client. I use those settings as a base, and then I adjust on a per-image basis where I feel some images need some additional help. I encourage you however to come up with a base, and then save it as a Develop Settings Preset like we did for the Auto Lens Profile! This way when you are done processing with Photomatix and you import your photos back into Lightroom, you can automatically apply the base preset on Import. Below are a couple of examples of photos that I edited where I utilized the same exact brackets to process both in Photomatix and Enfuse. I tried to maintain brightness between the two comparisons. 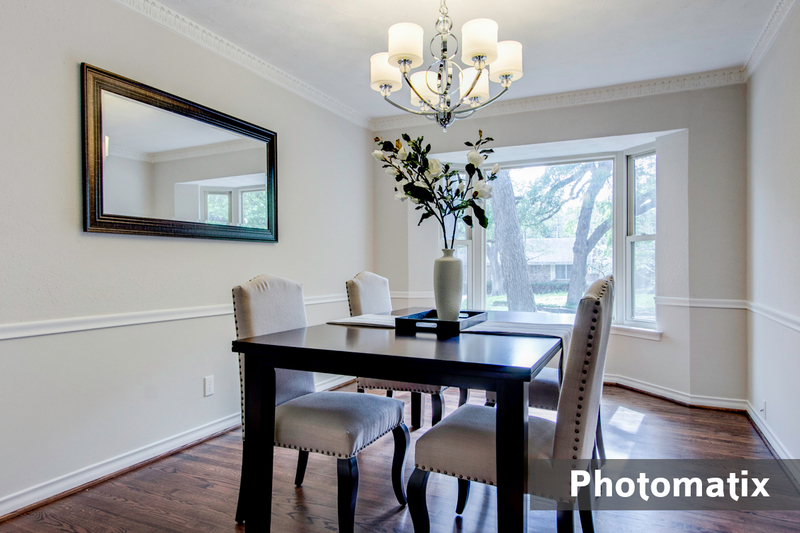 You’ll notice the majority of differences are in the highlights either out the windows or on light fixtures. You’ll also see differences in the darker portions of the images. 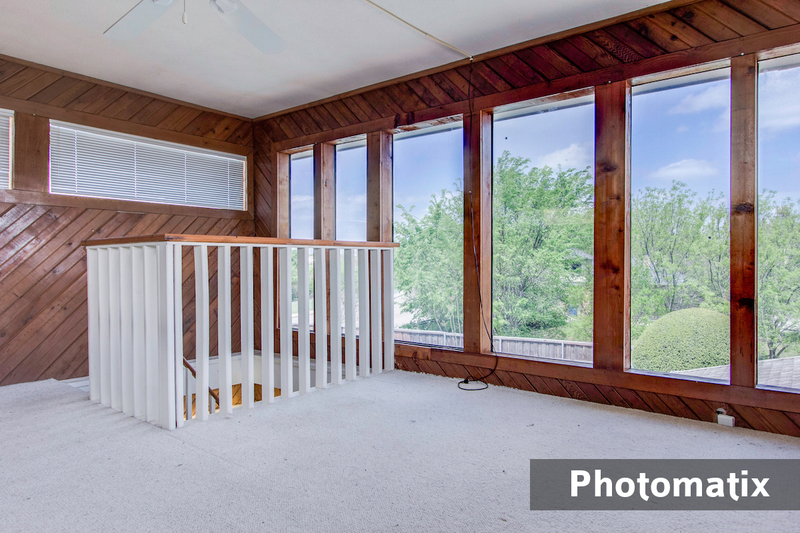 Honestly, the cost of Photomatix should be LESS than the cost of a SINGLE real estate photography shoot for you. 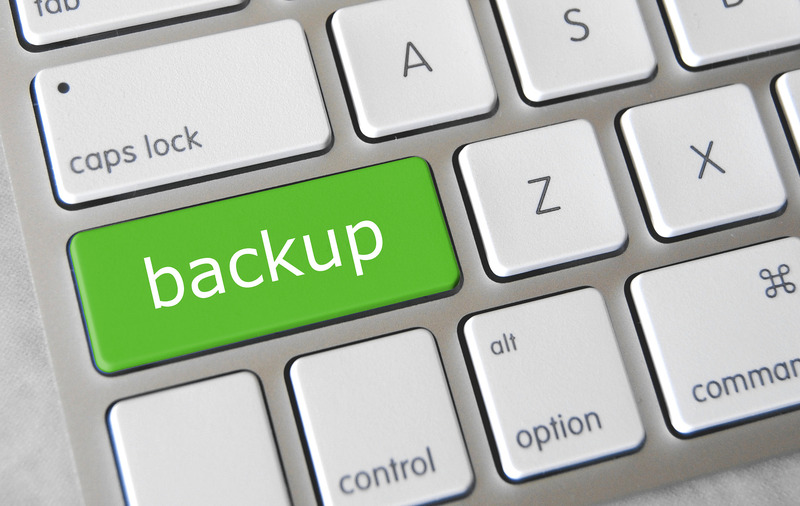 It should be a no-brainer to purchase a piece of a software that your business is going to rely on. However I’m like you, if I can get something for cheaper, why not?! The kind folks at HDRSoft have given me a discount/coupon code to pass along to my readers to save 15% off the software. Enter the coupon code at checkout to purchase Photomatix cheaper than I got it for! 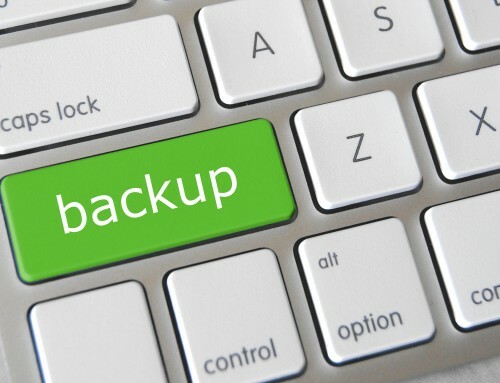 Don’t forget, you can download Photomatix and use the fully functional software for eternity! It’s just not very business friendly with the watermarks that get put on it. 🙂 It is definitely worth the download though so you can test it out and see if it’s something that your business should invest in! 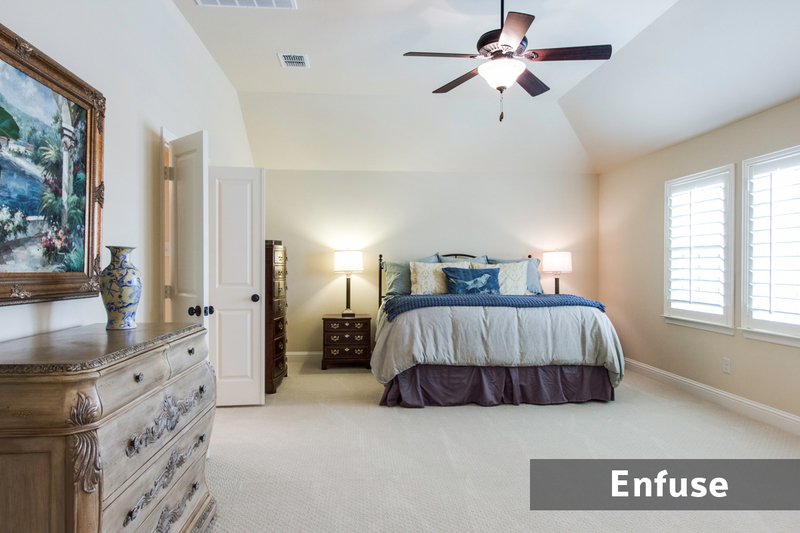 Do you have any Photomatix or Enfuse settings that you use and get great results with? Share below in the comments – I would love to hear from you! Hi Lance! I am curious if you can speak to processing times of Photomatix vs Enfuse. My current bottleneck in processing is Enfuse; I do very much like the results, but it takes F-O-R-E-V-E-R to run a set of 40-ish brackets from a large home. I am processing 6 or 7 shots per bracket, and considering modifying (reducing) that, but I start losing detail with 3 shot brackets. I am still experimenting with 4-5 brackets, but then I have to figure out how to shoot that easily… an ongoing process for sure! Your Enfuse tutorial is what got me well on my way into real estate photography, and for that I cannot thank you enough. Timely, article! 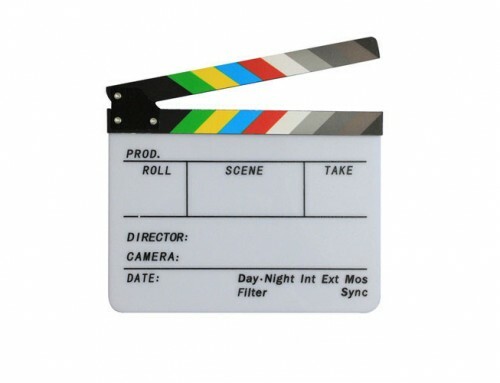 Going to try this out Monday on my next shoot. 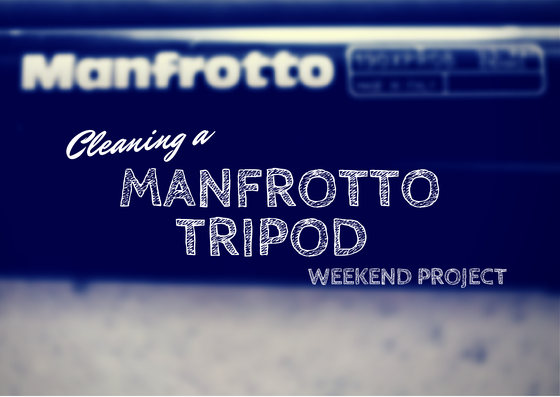 Have been doing everything by hand and really looking to save some processing time with this. Thanks for the tips and setups. Lance….I’m not sure why you convert the photos to jpg before merging in Photomatix…I convert my raw images to dng upon import to Lightroom, and then adjust WB and run the photos thru Photomatix and then edit the merged tif final image….why is it that you are you converting them to jpg first..just curious…and Thanks for the tutorial…. Hi Kenny, no reason. If anything, it would be speed? I haven’t done any tests, but I would imagine the DNG is a significantly larger file size? But if the end result is a file with a dynamic range that is more editable within Lightroom, it would be worth it – I just haven’t done any testing to see the difference! 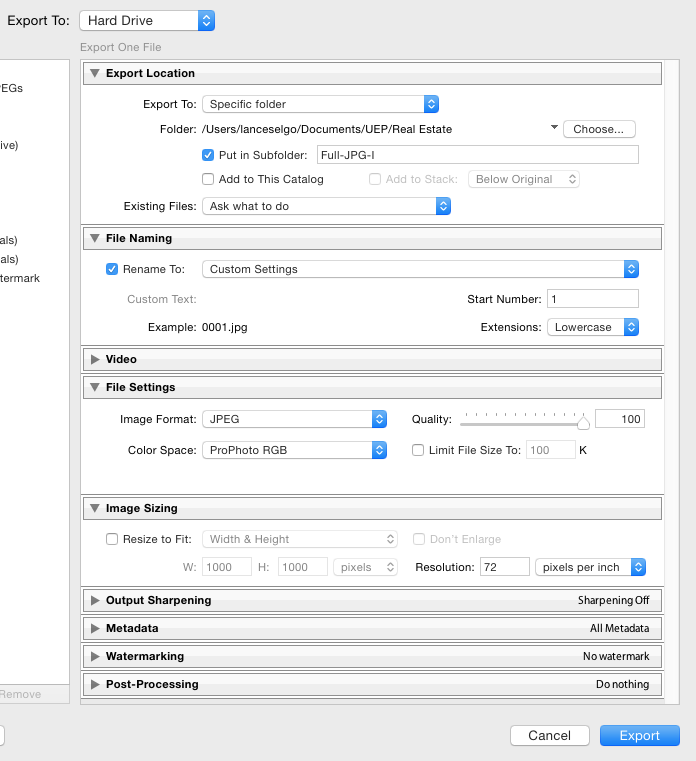 .DNG is a “wrapper” that combines the original image file and the .xml sidecar file with your edits, keywords, etc. It’s super handy if you ever have to rebuild a corrupted Lightroom library. Adobe created it to work with all of their software. It might be an open standard, but I can’t remember. 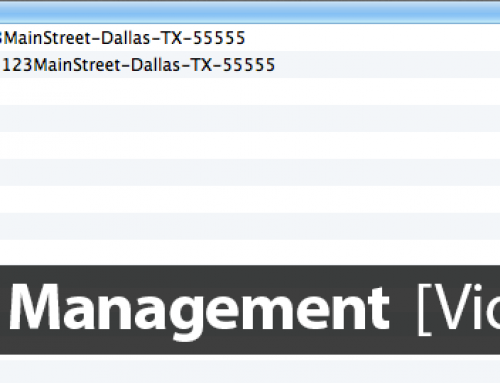 Bottom line, the file sizes or only a few kb larger to include the extra information. Kenny are you exporting them as DNG files from Lightroom to a folder on your computer and then batch prossesing them in Photomatix? I can’t seem to find a way to export the files from Lightroom directly to Photomatix for batch processing. 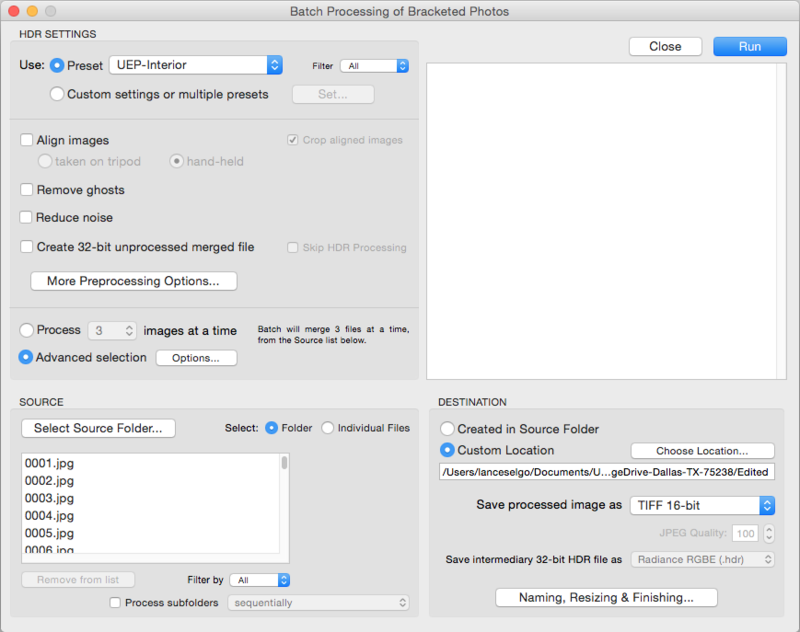 It seems that you can only export directly from Lightroom to Photomatix for a single set of brackets, not “batch processing”. Any help is much appreciated! That’s how I do it – just export everything out of Lightroom to a single folder, and then run a batch process via PhotoMatix. Thanks Lance! Next I need to figure out the best way to send my clients a link for a gallery slideshow that’s MLS compatible. How do you deal with color casts when working with HDR/exposure fusion? Hey Lance, love your work! You’re a great help.Out of curiosity, what mac do you use? 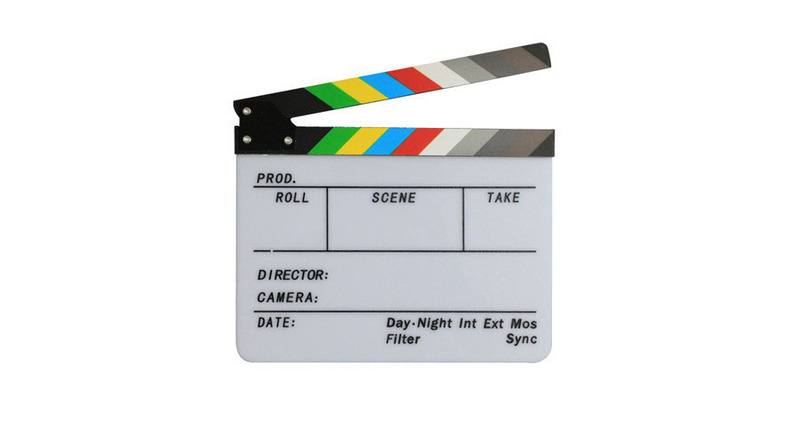 Also, are the presets for exterior shots the same or, if not, how do they differ? Thanks man! I use a MacBook Pro for video editing, and a MacBook Air for all still editing. Exteriors usually don’t require as much adjusting. I would recommend just blending some together (I prefer Enfuse usually over PhotoMatix for exteriors) and just adjust contrast/highlights/shadows/saturation to get something you like. in your photomatix video, you merged 7 images. How did you do this with a 5d mkII? The camera only allows 3 hdr images?? I use the Promote Control! as far as converting images to jpg first, this is the only way to retain the white balance settings that you made using Lightroom, right? If you batch import raw files into Photomatix I’m thinking it won’t import any adjustments that were made. Great info by the way! 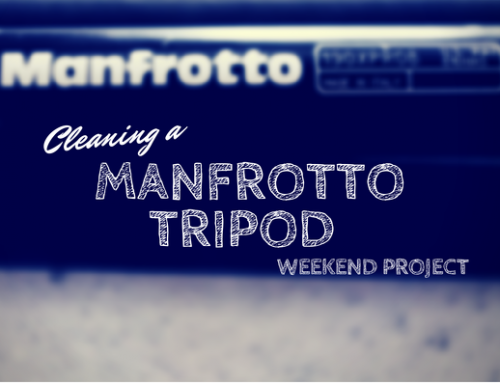 I’ve been using a (remarkably similar!) Photomatix workflow for a few years now, and you are exactly right. Not only will you not capture any WB adjustments, you’ll also miss your lens profile corrections. That was the big one for me, because you can’t then use LR’s auto lens profile tool on the resulting TIFF file produced by Photomatix — the metadata isn’t there. So much easier to just do the extra export step. Great info, Lance — thanks for sharing! Hi Lance, Nice work on this Tutorial. Do you find that using a gray card helps with getting better WB when shooting interiors? I’m sure it would help, but it would require taking a photo with the card and then without in order to get that white balance set. With my workload and the need to be in-and-out, I just rely on my eye and clicking on neutral elements in the shot during processing to set the white balance. I find Enfuse gives a better resulr for exteriors usually, and I use the same settings as interiors. You are great. Thank you for all the good info. 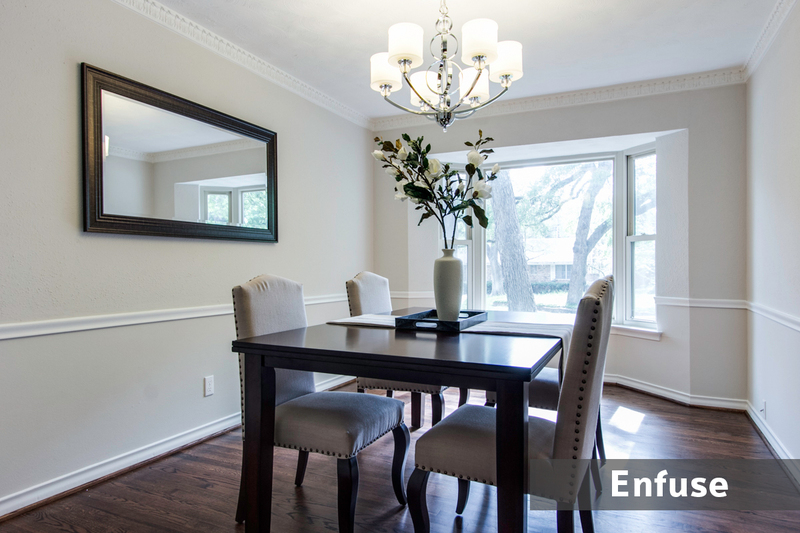 I started real estate photography with you lightroom Enfuse video. Now I am thinking to switch to Photomatix but still think that Enfuse is more natural. Is there some particular reasons to use Photomatix. I have not tried it yet. I would love to hear your comments first. I think it pulls in highlights (windows) better. It looks just as natural as Enfuse as long as you don’t over saturate the processing. Thank you Lance, I would definitely try it. I am just starting to learn about the business and this website has been very helpful. I look forward to every post. Glad to have you here Shannon! Question… I did my first shoot with photomatix a few days ago. I take 7 bracketed exposures and then delete the extremely over/under exposed ones but only if they’re REALLY bad. Im not happy with the end result blending through the windows, its just not as good as i’d like. I wouldn’t consider it to be on par with what i’ve seen from other photographers who i think are also using photomatix. I’m wondering if 3 pictures that are taken closer to an ideal exposure is the answer to a better end results after blending. One photo property exposed for interior, one through the windows essentially exactly the way I’d like it to be and one in-between? Of course I can troubleshoot an answer to this for myself but just wondering if you could shine some light on this from your own experience? I live in an area with great views and lots of tree’s etc so its especially important for me to be able to do this part well. I am finding that doing 7 has ended up with great results, and letting the camera figure out the bracketing/exposures. Also I am pretty certain the lower the steps between each frame, the better. So for example it would better to 9 shots 1/2 a step apart, instead of doing 5 shots 1 stop apart. Definitely give it a try. I just this week started letting the camera choose the exposures and I had blends that had almost all black frames and almost all white frames and they came out great. 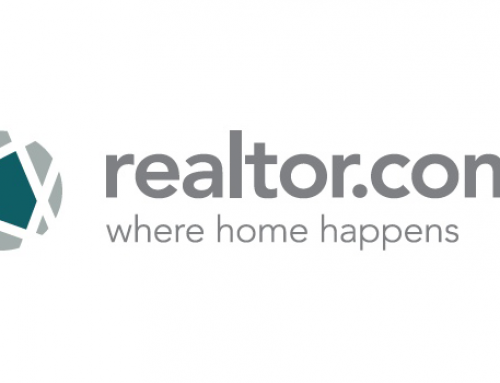 I just found your website and I wanted to drop a comment just to say “Thanks” for running what looks to be an active real estate forum. Glad you found it Eric! Hope you can get some info from my posts to help you out in your real estate photography adventure! Hey Lance… Great video, thank you for the helpful tips. I attempted to use this process to batch my interior images but when I changed from the default “process” to “advanced selection” Photomatix would not load my source folder… If I switch back to the default “process” the folder would load properly. Any idea why this is happening? Thank you. PhotoMatix is a bit tricky in that you need to make sure you are either selecting a Folder or Files as the source, and then on top of that, you need to check “Process Subfolders” box if necessary. If you have all of your brackets in one folder, you would choose “Folder” as the source, hit the Select Source Folder button and find the folder and open it. That should dump all of the files in the source list. If you have multiple shoots that you want to do at once, you can put them all in subfolders. So your structure may look like /MyShoots/Shoot1/*.jpg and /MyShoots/Shoot2/*.jpg. 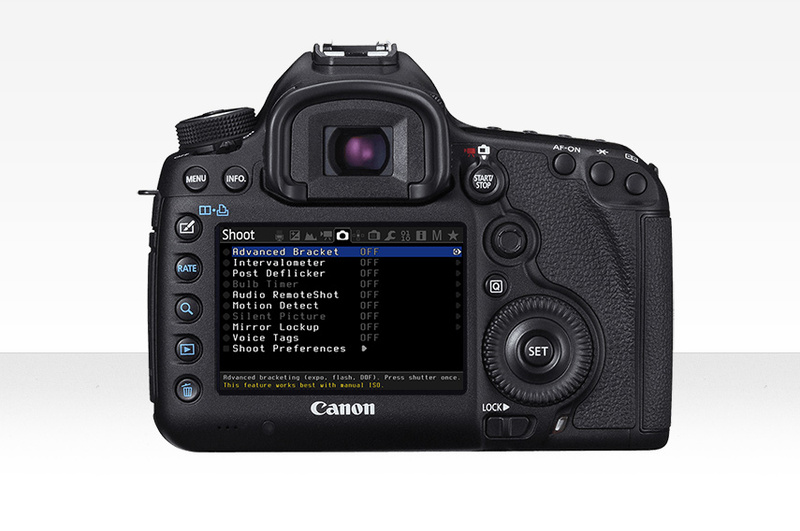 Where Shoot1 and Shoot2 are folders that contain jpgs of your brackets for each shoot. In this instance, you would select Folder again for the source, but this time you would select Process Subfolders. Then when you click the Select Source Folder option, you would find the MyShoots folder and open. It should then populate with the brackets from each shoot. Not sure if that makes sense, but try playing around with those selections. Good luck! Hi Lance! Just wondering what your thoughts are on Lightroom’s built in HDR merge program that’s now standard in CC. 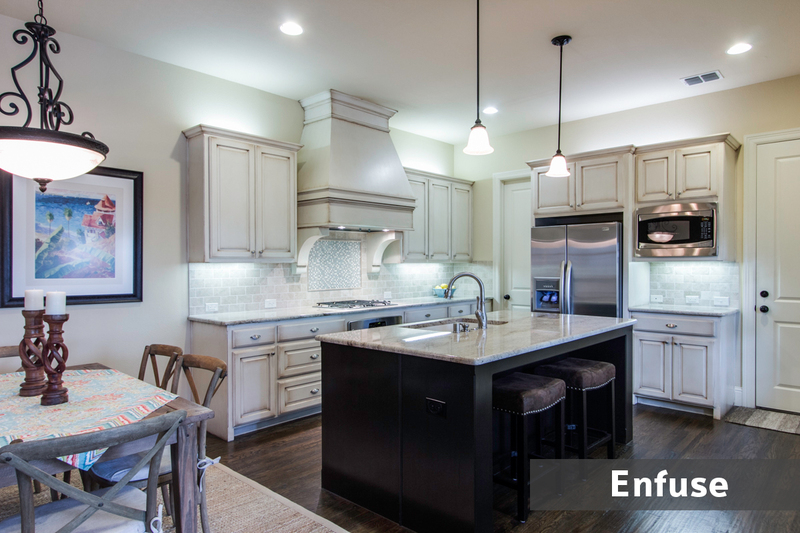 Is there still a need for Enfuse or PhotoMatix? I’m just getting started and am trying to figure out what program will yield the most realistic results. Your site is awesome! Thanks for sharing your knowledge! Are you referencing HDR in Photoshop, and not Lightroom? I don’t have the latest Lightroom I don’t think, so if they added HDR I am unaware! But I always tell people – use the trial of PhotoMatix and compare to what you can do in PhotoShop and see what you like better. It may be easier to batch in something like PhotoMatix, but I’m not familiar with using Lightroom and/or PhotoShop for HDR work. Hi Lance i notice that when you export full jpg for photomatix processing you do not alter the size and resolution is set to 72dpi. Does this mean the export is in low resolution does it not matter? Cheers. Gary. My understanding is dpi/ppi isn’t a factor until you go to print. On the computer, one pixel is always going to equal one pixel. So regardless of what the resolution is set at, the width/height in pixels of the image is going to be the same when it comes to processing on the computer. I only start thinking about dpi when I need to talk to a client about printing, and I let them know that they can print it at whatever dpi they want, which will determine how big/small the print ends up being. I just discovered Photmatix after doing this process manually in Lightroom and it is quite a time saver. Would you be willing to share with me how your are able to keep the lights in lamps and ceiling fixtures etc from be so overexposed. I am never able to bring them back to a normal level in post processing. Thanks again for sharing your processes. I don’t do anything special! I just blend with PhotoMatix and get what I get! Some times they are blown out, some times they aren’t. I don’t always 100% adhere to all the lights always on. If I have a halogen spot facing directly at the camera, I might turn it off to reduce the blow out of this light, or I might face it away from the camera. If it is too objectionable, I guess the only answer is to do some touch up in post. Generally, I try to reduce the time spent fusing with photos. 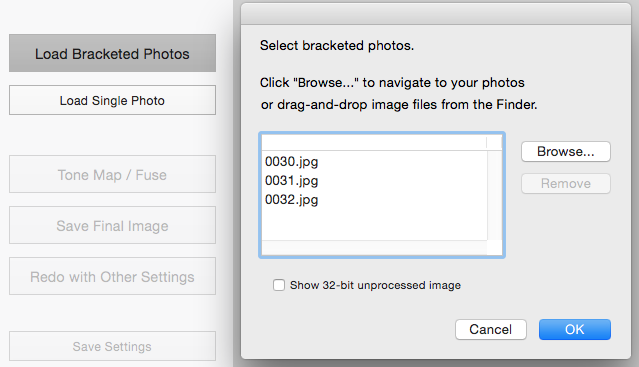 With the Enfuse plug-in you were able to sort the images prior to exporting them if you had the folder selected. This method seems to create additional folders? 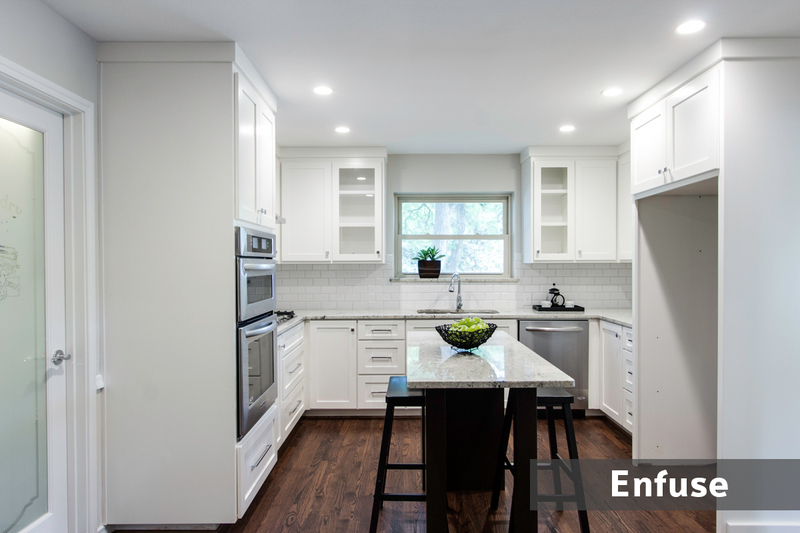 Do you now export the interiors and exteriors separately? Yes I export first the exteriors, and then the interiors. They are exported into their own respective folders prior to blending. Thanks Lance! I appreciate it. File management is pretty tough as once there are subfolders it won’t let your sort the files before the final export. Trying to come up with a method to keep it all straight is tough. 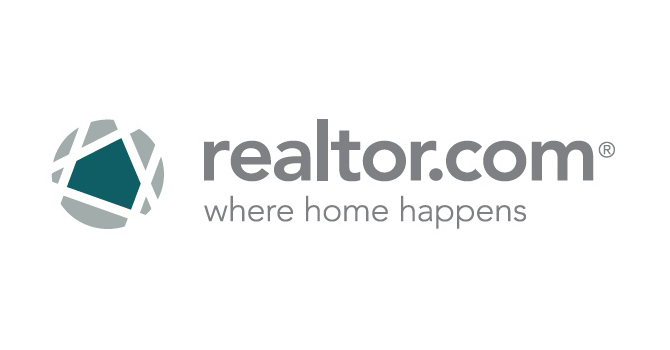 As a long time realtor/broker in Wyoming, I was excited to be able to work with a British company in the creation of a photo editing software package specifically designed for real estate agents. 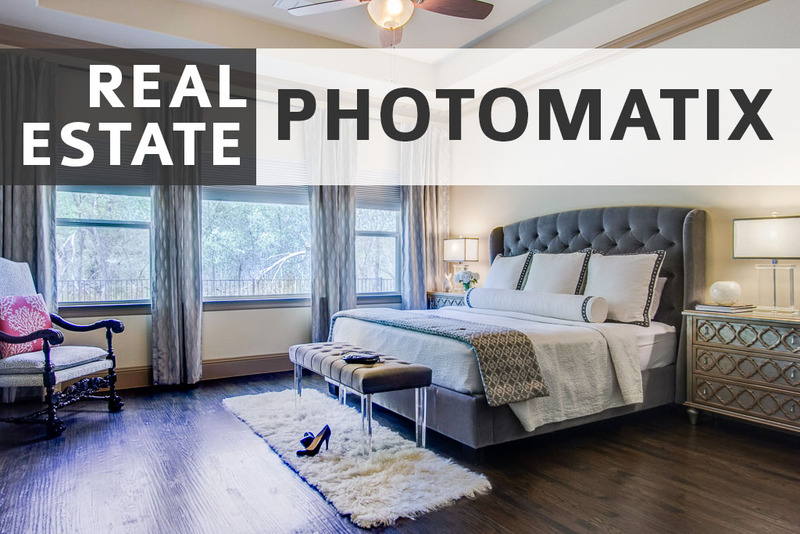 Photomatix Essentials RE allows novice photographers to dramatically improve the quality of their interior real estate photos with little effort on their part. Hi Lance, if you wanted to fix the color cast in the image above you can rerun photomatix and change the wb to 5200 or whatever it is outside, then blend the two in photoshop. A little extra work, but your wood floor would be brown again on the left. That’s possible, or lately I’ve been just painting with the brush in Lightroom over any blue areas and bumping up the temperature a lot. Then the frames are exported with less blue in them, resulting in a better final image from Photomatix. 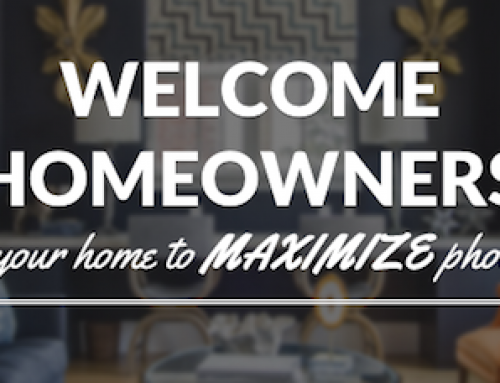 Thank you – just starting out so I really appreciate your great info! 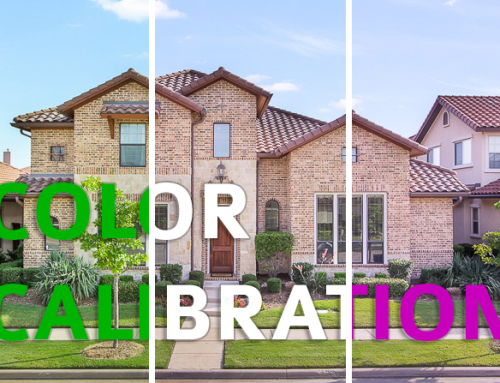 Found this article really useful in clearing up a few issues I’ve had shooting HDR for real estate. One thing I wondered is how you meter – evaluative, partial, spot or center-weighted? I’ve been using spot and metering the darkest part of the room with 7 bracketed images and then re-composing. Had occasional off images which are hard to edit afterwards. I’m all about making my workflow onsite and while editing efficient. Any quick blue sky blogs either? I don’t have a quick blue sky blog – I outsource my exteriors for that reason because it’s too time consuming putting new skies in all the exteriors! I just recently looked up how PhotoMatix states you are supposed to take the brackets. Why I didn’t look it up long ago, I don’t know! They suggest 5 brackets, 2 stops apart, making sure your first image (darkest) has the histogram ending at the 2/3 mark. Meaning the highlights in the histogram end in the midtones section of the histogram. The last image (lightest) has the histogram starting in the 2nd 3rd section of the histogram. So the shadows (left side of the histogram) shouldn’t show up until you reach the midtones starting point of the histogram. I just started using these rules on shoots and have noticed a significant quality difference. I get less muddy areas around windows, and I think it’s because I’m overexposing so much now, where I was too afraid to in the past. So I’m lightening up the shadows a lot. I ended up going to 2 and 1/3 stop between each bracket in order to cover that full range. I don’t meter anything. I know if I’m shooting something that’s pretty much in the middle that I can be at 0 exposure compensation. If I’m shooting into a window, I need to be at +1 2/3 or so exposure compensation for the brackets. I take the brackets and they generally reach the range I need. If not, I quick delete and just modify the compensation whichever way I need to go to get it right. 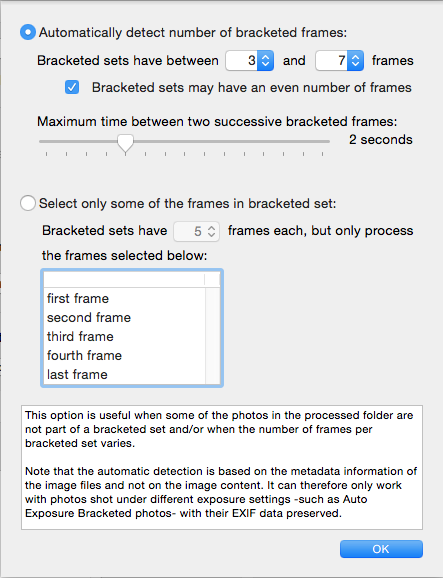 You could probably put your camera in Live View mode if you have it, and show the histogram, and adjust the shutter to get the exposure right for the darkest bracket of the set. Then you would know where you need to set your compensation to get the brackets how you need them. I too have been experimenting and found that if I set the histogram to as close to the center for a balanced exposure, and since my gh4 can only bracket 1 stop apart I shoot 7 brackets to give me plus and minus 3 exposures. I was hoping the gh5 would allow 2 stops in bracketing but it appears to be one also, don’t understand why they do that. I did a test also using exported jpegs in Photomatix on a shot that came out muddy looking and then ran it with DNG files and the DNG export from photomatix looked much less muddy looking. I also thought about using 3 brackets and shoot the darkest area and then do the same with the lightest area, easy to do with spot metering and touch screen on gh4, I believe your canon works the same way too. I can’t do the 5 brackets at 2 stops each like yours can but I’ll try setting the histogram as you mentioned Photomatix recommended and see if that helps. Thanks for all your input Lance! I have actually just started messing with my brackets as well. I am going to write a post about it, so stay tuned. That’s very interesting about the DNG test you did – I need to give that a shot because muddiness is one of the worst downfalls of HDR! Do you correct WB when you first import into LR or when you finish in LR after doing the photomatix process? Thanks, great information all in one area. Import, color balance, export, photomatix, import, final touches. I’ve seen people reduce highlights and up shadows in Lightroom before HDR process. Have you found this helpful. Seems like you might lose quality. Thanks again. I haven’t tried – but that doesn’t mean it won’t work! Give it a shot, do some comparisons and see if it works for you! Question about this tutorial. I see that it was written back in 2015, but the 2017 version of Photomatrix is a bit different now. For example, there doesn’t seem to be a Preset called “Fusion/Real-Estate”. There is one for “Fusion/Interiors” though. Unfortunately there isn’t the ability to set the settings mentioned above (Highlights, Shadows, etc) to exact numbers like “-10”, “10” or “0”. Do you have a more updated tutorial for Photomatrix? Thanks. Yes v6 is out for PhotoMatix and the tutorial was written with the prior version. You can get a similar result using Fusion/Interior as you suggested. Try these settings out for your starting point and make adjustments where needed. Weird! Hopefully they can figure something out! Lance, I contacted the Photomatrix team at HDRSoft to report this issue. I’ve been corresponding back and forth with them for a couple of weeks. As it turns out, it IS a bug that they identified for any PC users running Windows 7 and a fix is now in the works. On a side note, their support and development team has very responsive and although I was looking at other comparable tools, I’ve decided to go with Photomatrix for this reason. Glad they are working with you! Hi Lance thank you very much for your wonderful tuto, but perhabs i miss it, i didnt see the link for the real estate preset you used for photomatix and lightroom. Dis you put it somewhere in the description ? Thank you very much for your help.. .
It’s under the setup portion – I list the settings for PhotoMatix. Hi Lance, I’m just getting acquainted with your YouTube channel as well your blog. So far, I’m really enjoying it all. I am trying to follow along to this particular video/blog combination, but unless I am missing something it looks like your blog ends where you export out of Photomatix and just before importing back into Lightroom. So, this is where I am hung up. 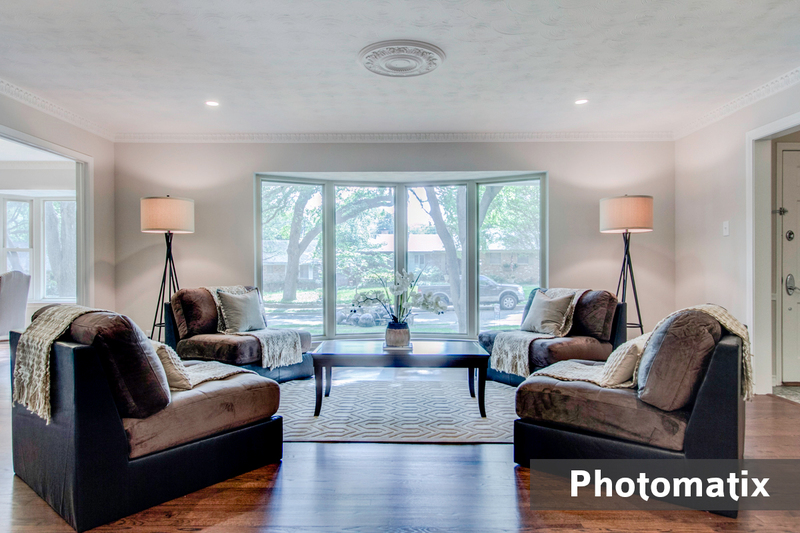 I am looking for the preset specifications for Photomatix Interior to import the edited photos back in to Lightroom. Thanks for you help! Hi Lance! Thanks for the screenshot. It looks like might have explained the wrong spot. I was referring to about 10:12 into the video where you mention a preset you use to import back into Lightroom. Do you happen to still have that available to view as well? I’m stuck at this same spot as well. I don’t edit much with presets – just come up with something you like using the adjustment sliders and save it as your own! Hi Lance! Great video, really helpful! 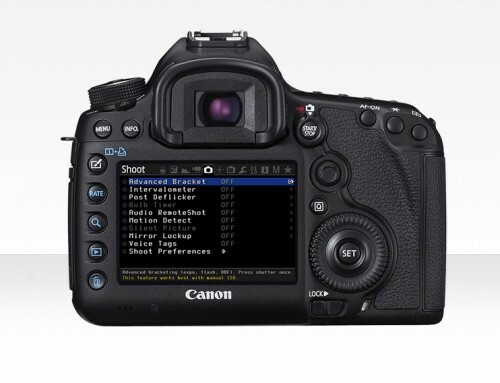 Question: where can I find how to set the ”Develop settings: Photomatix interior”? I also saw that you have one called exterior. How can I set those two settings? 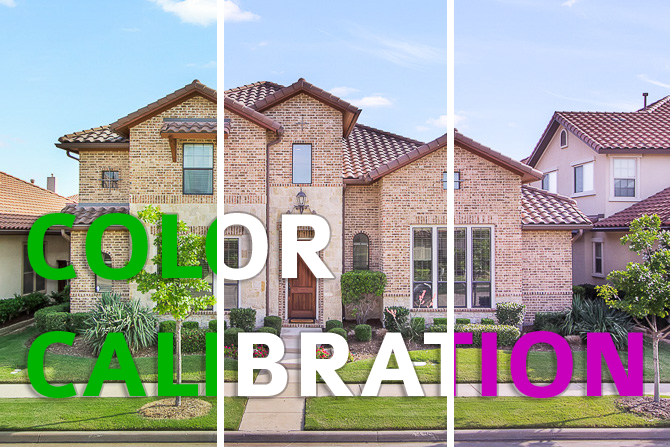 Do you have a Lightroom and Photomatix preset for Exteriors? I understand you use Enfuse, but wondering if you have anything currently.